Feel Like It’s Time to Make a Change in Your Income, But Can’t Seem to Find a Way? We are here to help you. With over 10 years in this industry, 2by2ForYou is an important piece of our “Follow The Steps” system. We are dedicated to helping you earn an additional income and by taking the first step you are well on your way to financial freedom. By using the Power of Leverage and Duplication it is very simple to pay a one-time product purchase and then build your business from profits. It is very simple to show anyone how to duplicate exactly what you are doing so that they can save money and earn money. Sprinkle all this with The Perfect Storm Marketing Campaign and you have your hands on an awesome Winning Combination. What Is The “Follow The Steps” System? One way we help our customers that is looking for an additional income is through the “Perfect Storm” marketing campaign. We, the company, upload 100,000 new prospects/customers under Active Members at PHP Downline Builder. This is what we call our holding tank. It is free to join. 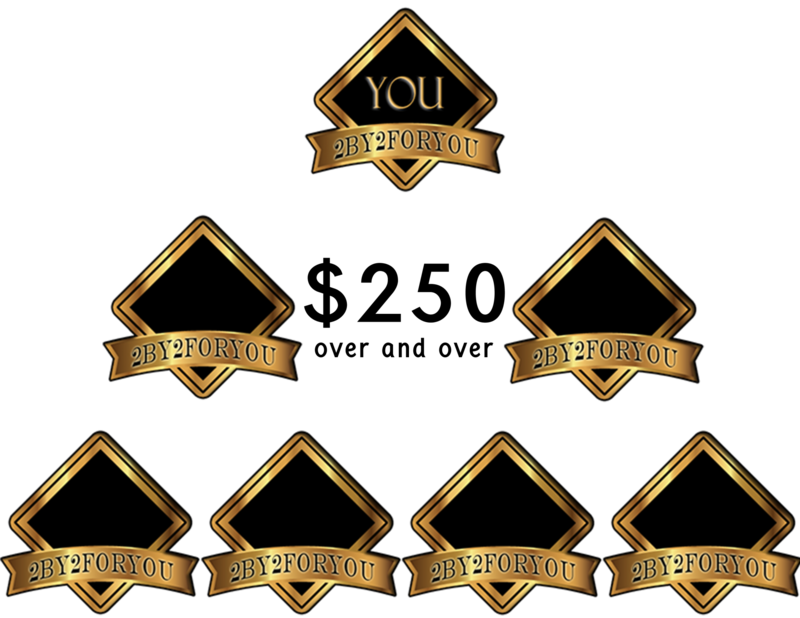 As these new prospects purchase their products they are placed at 2by2ForYou. At 2by2 For You commissions close every Friday and paid the following Friday. When you Follow The Steps, we can show you how you can earn a monthly income with the same team of Independent Marketing Reps.
One of the best aspects of the “Follow The Steps” System is you work out of profits, which means no additional out-of-pocket cost for you! Concentrate on a Team of 39. With the “Follow The Steps” system, a team of 39 does so much for YOU. Not only do you earn 6 times from the commissions at 2by2 For You, it opens the door for you to earn so much more. Don’t worry – we help build your team of 39! 2by2 For You has products that you can use to keep money in your pocket. With it’s low one-time product purchase and the compensation structure, it is very simple to get into profit quickly. Solid 10 Year Old Company. We’ve been around the block a time or two and we know what it takes to start a home business. You will have access to training materials, “live” customer service and so much more. Our products are designed to SAVE YOU MONEY. Just by using the products, it is very simple to save more money than the cost of the product itself. Our products are loaded with value. The more you use the products – the more money you keep in your pocket. We have many ways for you to earn an additional income, but the compensation structure at 2by2 For You is a simple 2×2. That’s right, 2 helping 2 helping 2 and you earn commissions. Depending on the product package you are involved with, you can earn between $60 and $400 over and over and over and over again. If you have the desire and the willingness to earn an additional income – we are here to help you. You will be amazed at how simple it can be to Save Money and Earn Money from the comfort of your own home. PHASE 1 – To become a Manager at 2by2ForYou, there is a $25 one-time product purchase where you will receive the Kiss Retail Goodbye Card, our Exclusive Benefit Package where you can save and earn money, Access to Direct Sale Products; along with training materials, a replicated website, back office tracking technology and marketing materials. 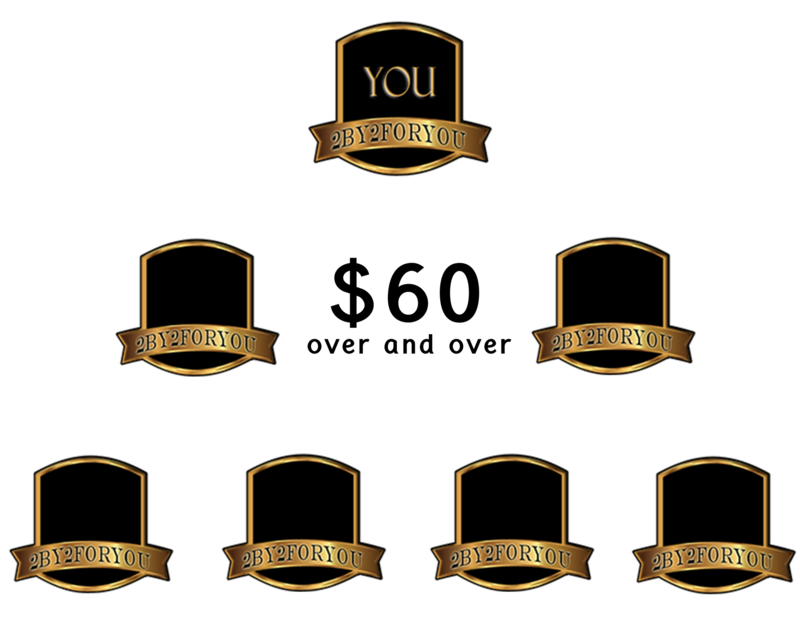 You will be placed in the first available position on your company structure. As it begins to fill, you will receive commissions when your 2x2 matrix is filled. PHASE 2 – To become a General Manager at 2by2ForYou, there is a $50 one-time product purchase where you will receive access to the Alabama Wholesale Travel, our Exclusive Benefit Package where you can save and earn money, Access to Direct Sales Products; along with training materials, a replicated website, back office tracking technology and marketing materials. You will be placed in the first available position on your company structure. As it begins to fill, you will receive commissions when your 2x2 matrix is filled. 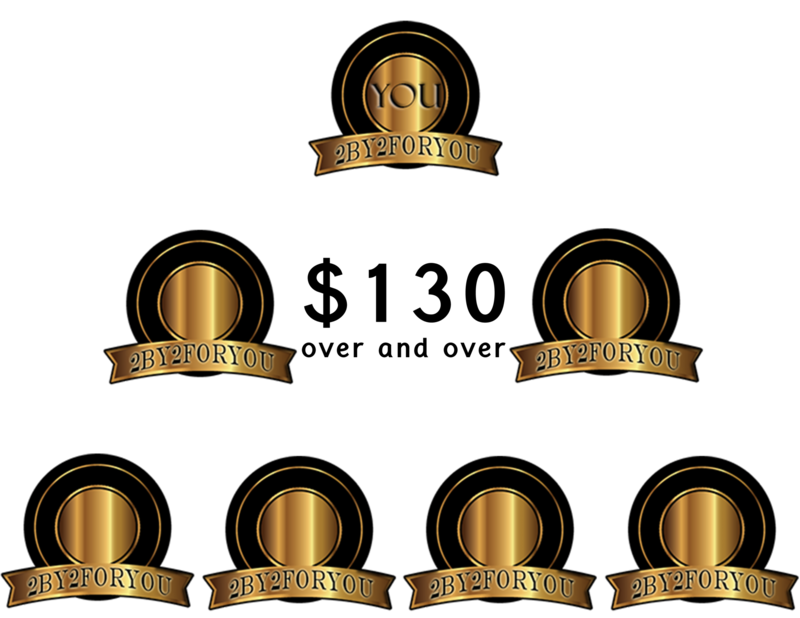 PHASE 3 – To become a Regional Director at 2by2ForYou, there is a $100 one-time product purchase where you will receive the Coffee Cup News 4 You which is updated every 30 minutes. Read all about Health and Nutrition on a daily basis. In addition, you will have access to our Exclusive Benefit Package where you can save and earn money, Access To Direct Sales Products; along with training materials, a replicated website, and marketing materials. You will be placed in the first available position on your company structure. As it begins to fill, you will receive commissions when your 2x2 matrix is filled. PHASE 4 – To become an Executive Director at 2by2ForYou, there is a $150 one-time cost and you will receive the Coffee Cup News 4 You – Executive Addition. This is updated every 30 minutes. Read all about the latest things happening around the world. In addition, you will have access to our Exclusive Benefit Package where you can save and earn money, Access to Direct Sales Products, along with training materials, a replicated website, and marketing materials. 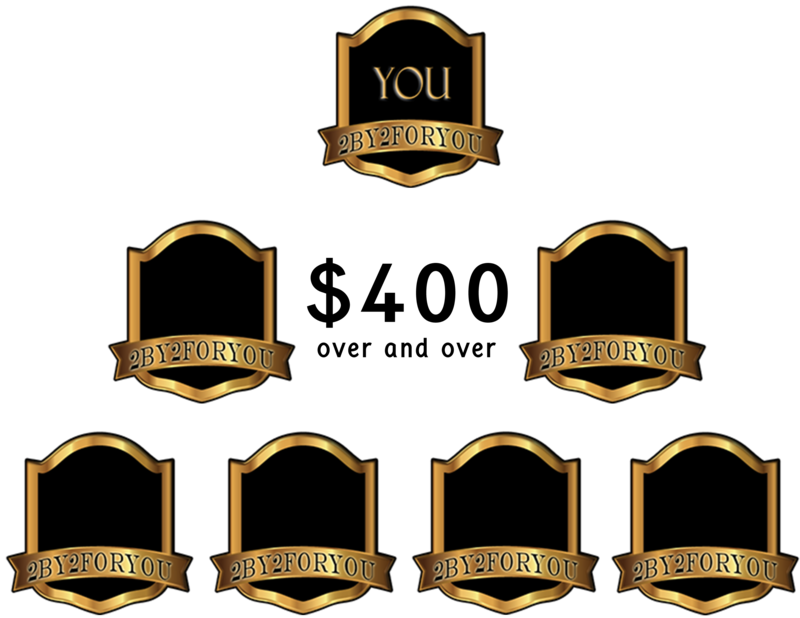 You will be placed in the first available position on your company structure. As it begins to fill, you will receive commissions when your 2x2 matrix is filled. A total of 6 new Independent Marketing Representatives to your organization gives you a commission between $60 to $400, depending on which level you are participating in, PLUS you will be positioned over and over again so that you can continue to build your organization by sharing with others the ability to become Independent Marketing Representatives. Remember, this is just the beginning, as you continue following the steps, your income can grow to over $50,000 per month in a very short amount of time!